Students who will be in grades 9 through 12 during the 2018 – 2019 school year. 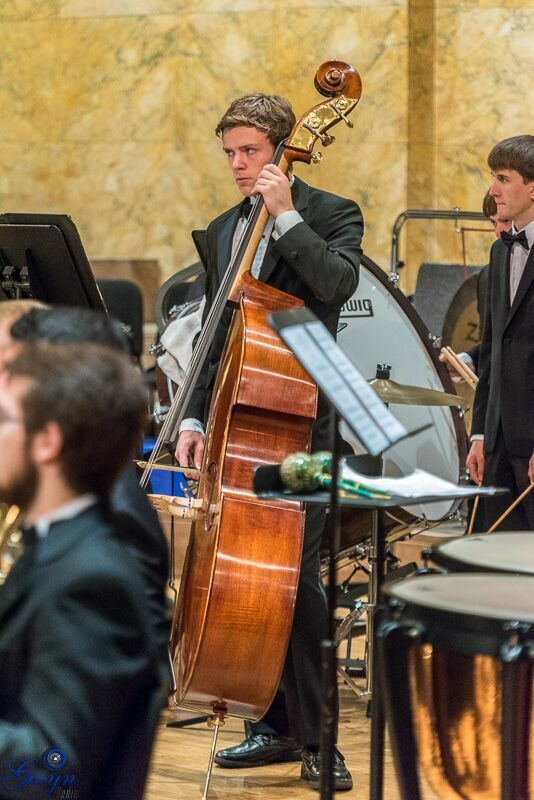 Students who play wind or percussion instruments (including string bass). Students must be in good standing with their high school music program and receive the endorsement of their high school music teacher (or private teacher if a school music program is not available). 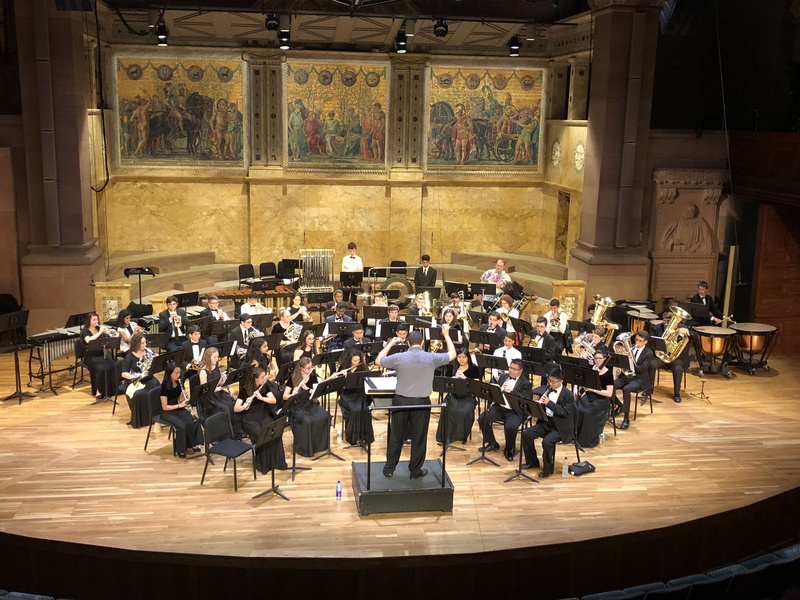 All EWS Youth Band members from a previous year are welcome back to the group for the current season, but must still register for an audition to determine seating requirements. There is a non-refundable $15 audition fee for all students. This is payable at the time of the audition, by cash or check (made out to EWS). For those students accepted into the ensemble, the annual tuition is $310. REFERRAL Program – NEW for 2019! 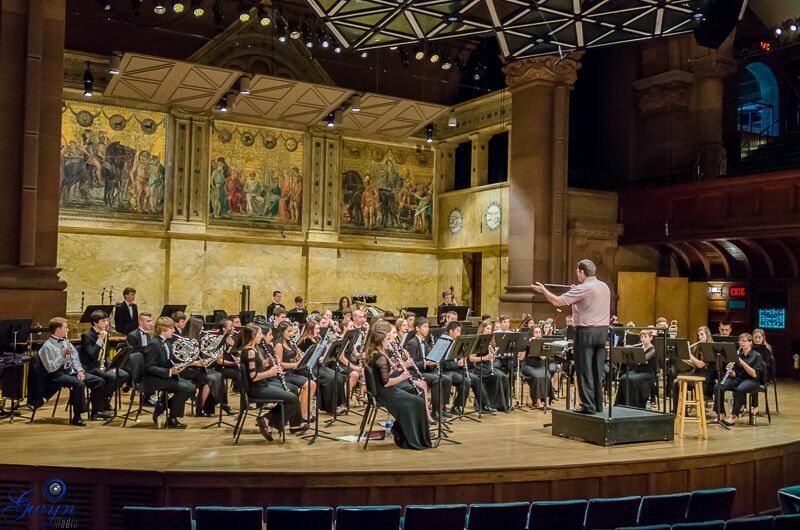 For all returning EWS Youth Band members, we want you to help us recruit new musicians! Invite your friends to audition for the Youth Band. For each new person who auditions, is accepted into the youth band, and lists a current member as their referral (prior to or at the time of audition), that current member will gain a $20 tuition discount for this season. Each new applicant can only list one current member as a referral. Current members can receive multiple referral discounts, up to the total 2019 tuition amount. To request an audition, please complete the form below. Once information has been submitted and reviewed, you will be contacted to schedule an audition time. Auditions for the 2018-19 concert season will be held on January 26 and February 2, 2019. You will be contacted to schedule a time, date, and location once you have submitted your form. I attest that I am a member of my HS band program. My HS does not have a band program. If you are NEW to the EWS Youth Band, and were referred by a student from last year, please include that referring student's name here. Please note you can only list one name.